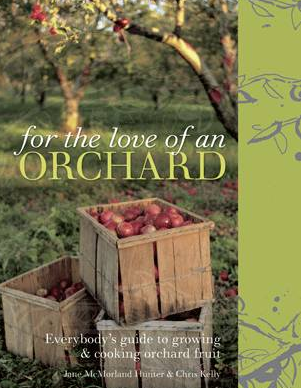 This book combines the romance of orchards with the practicalities of growing fruit trees. It tells the fascinating stories of the individual fruits and gives a selection of recipes for each. Orchards are one of the oldest and most beautiful types of garden. Forget large commercial orchards but, instead, think of sitting in the gentle shade of a graceful tree and eating a perfect piece of fruit. You do not need a lot of space to achieve this, you don’t even need much skill. Just a desire for really good fruit and a love of beautiful and civilised things. In terms of availability orchard fruits can be divided into two groups. Apples are the commonest fruit in Britain and available all year round, pears, plums and cherries are also easy to buy, but of the hundreds of varieties of these fruits which grow well in Britain shops rarely stock more than a few, choosing varieties for their looks and robustness rather than their taste and flavour. At the other end of the scale quinces are hard to find and medlars and mulberries almost impossible. The way to get the best of all these fruits is to grow your own. Nothing beats the taste of an exactly ripe, juicy pear eaten straight from the tree or a fluffy baked apple. If you have limited space you can easily grow fruit trees in containers and train them against a wall or fence. This way they won’t take up more than a few inches of your garden but will provide a beautiful backdrop throughout the year. If you have room for several trees, or even an orchard you can choose trees so that their flowering and fruiting seasons are staggered. This means you will have a longer season of blossom and will avoid a glut when everything ripens at once. Most of these fruits originated in the Tien Shan region of Central Asia and made their ways to Europe along the ancient Silk Routes. Each has an intriguing story, involving Aphrodite, King James I, the Garden of Eden and much more. They all form the basis of delicious recipes: Pork with Cream and Apple, Pear and Chocolate Cake, Damson Ice Cream, Quince Tagine, Mulberry Gin and Medlar Jelly to name just a few. ‘This is truly inspirational and a treat for both the armchair gardener and those unafraid to wield the secateurs…..Particularly interesting are the recipes using a number of the less familiar heritage fruits such as quince and medlars.